A few days ago, one of my VBA course students asked me if there was a way to select every third row in a dataset in Excel. While there is no way to do this using inbuilt functionalities in Excel, it can easily be done using VBA. In this tutorial, I will give you the VBA code and show you the exact steps to get this done in Excel. Click here to download the example file and follow along. Let me first give you the VBA code that will select every third row in the dataset that you have selected. Note that I have taken every third row as an example and you can modify the code to select every second, fourth, fifth, or Nth row (or even columns) in the dataset. Below is the code that will select every third row in the dataset that you have selected. Note that this code will work only when you select a dataset. As soon as you run this code, it will select every third row in the selected dataset. The code uses two object variables – MyRange and RowSelect. Now let’s see where you need to copy and paste this code into Excel. Copy the code mentioned above. Go to the Developer tab (click here if you don’t see the developer tab in the ribbon). Click on Visual Basic (or use the keyboard shortcut – ALT + F11). In the VB Editor, right-click on any of the workbook objects (if you can’t see the Project Explorer, use the keyboard shortcut – Control + R). Go to the ‘Insert’ option and click on ‘Module’. Double-click on the Module object that is inserted. Paste the code in the Module code window. Once you have copied the code in the VB Editor, you can now use it in the workbook. Click here to learn different ways to run a macro in Excel. Note that since the workbook would have a macro code in it, you need to save it in the .xlsm or .xls extension. The above code would select every third row in the selected dataset. This could be useful if you want to delete every third row or copy these and paste it into a new worksheet. But what if you want to select every second row, or every fourth row, or every second column (or any Nth row/column for that matter). In those cases, you can easily modify the VBA code. Here are some example codes. Note that the only change I have made here is the number in the code (from 3 to 4). If you work with data regularly, you may be using Excel tables (you must if you aren’t already). When using an Excel Table, you can modify the code so that you don’t have to select the data set. The code will automatically go to the Excel Table and select every third row in it ( or whatever number of row/column you have specified in the code). So if I created an Excel Table (named Table1), I can use the below code to select every third row in it. If selecting every third row is a task that you need to do often, it’s a good idea to save this macro in your personal macro workbook. Here is a detailed guide on how to save a macro in the personal macro workbook. 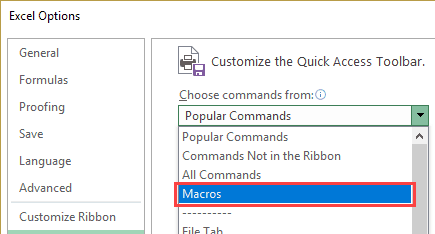 Once you have saved the macro in the personal macro workbook, you can add it to the Quick Access Toolbar (QAT). This way, you will have access to this macro in all the workbooks and you will be able to run it right from the QAT. Click on the Customize Quick Access Toolbar icon. In the Excel Options dialogue box, in the ‘Choose command from’ dialog box, select ‘Macros’. Click on the Macro that you want to add to the QAT. This will add this macro in the QAT, as shown below. Now you can simply select the data set (in which you want to select every third/Nth row), and click on the macro icon in the QAT. 24 Useful Excel Macros for VBA Beginners. How to Quickly Select Blank Cells in Excel. 7 Quick &#038; Easy Ways to Number Rows in Excel. How to Select 500 cells/rows in Excel (with a single click). Why wouldn’t the ‘OFFSET’ command work to select every third row? and in another sheet contain vender code and sap item code , we need to take the data for incoming qty in the second one with out using filter option. please support. and give the best guidance. I tried the code for selecting every 3rd row and it worked but only up to the 321st row but my dataset had 3339 rows and went up to column AA. Any reason why it would stop at 321? I’m using Office 2013. I am non VBA guy whereas i use standard Excel logics to do such activities…. The above formula has to be used with CSE. Hope this will also meet the requirement……. Thanks for sharing the formula Shyam. While a lot can be done with formulas, it can not select cells/rows. The intent here is not to extract every third row, but to select it. For example, suppose I have dataset and I want to delete every third row (or change the value in every third cell in a column), then I can use VBA to get this done faster. Thank you! Interesting to learn how to solve Excel-problems in VBA. Hey Torvald, Thanks for sharing. 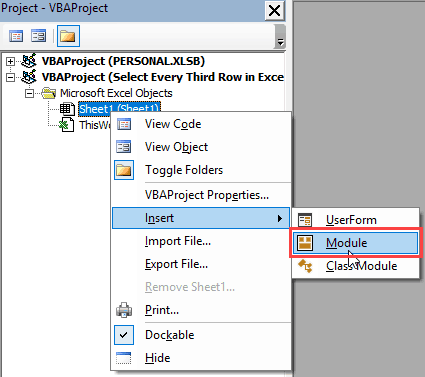 With VBA, you don’t need any new column/sheet to be added. You can simply select the data set and run the code to select every third row/column. The formula approach is useful when you have to get this done once or twice only. In case this is something needed regularly, creating the macro, saving it in personal macro workbook and the adding it to QAT is a one-time activity. Then it can be done with a single click. Thank’s for your answer Sumit, most claryfying. To select every 3rd row, can we do like this ? Suppose your data range is A1:C27. Select A3 & fill cell with colour. Now select A1:A3, select format painter & paste it on A4;A27. You get all 3rd row highlighted. Hey Ketan.. This will get every third row highlighted, not selected. When selected, you can do a lot more such as copy the value, delete the rows, change the values, format etc. Agree, it will only highlight & not select. 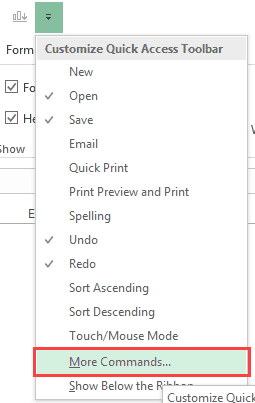 For selection, i have to filter by color. This was basically for persons like me who dont know XYZ of VBA. I also like reply from Torvald which is basically similar to mine. However, Excel has endless possibilities. It is always learning to go through your post/emails. Hello, in Example 2 – Select Every Second Column in a Dataset rows should be changed to columns. In the above code, you can change N with the number you want.